The Award-Winning Nishikoi Clear Waters pond treatment is designed to remove and control the growth of algae and blanketweed, to keep your pond looking healthy all year round. 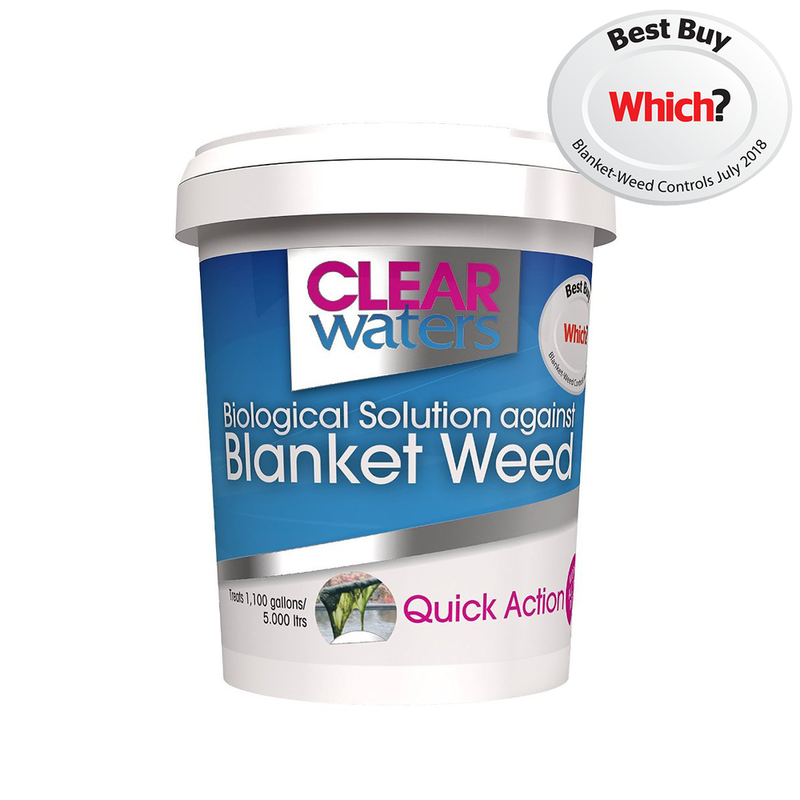 Which Magazine voted Clear Waters as it's "Best Buy" product in an independent head-to-head test against other products on the market for it's effective treatment for blanket weed and green algae in ponds. Clear Waters contains cultivated beneficial bacteria that cleans your pond in a natural way. NO MORE unsightly algae that covers your plants or the wall of your pond. 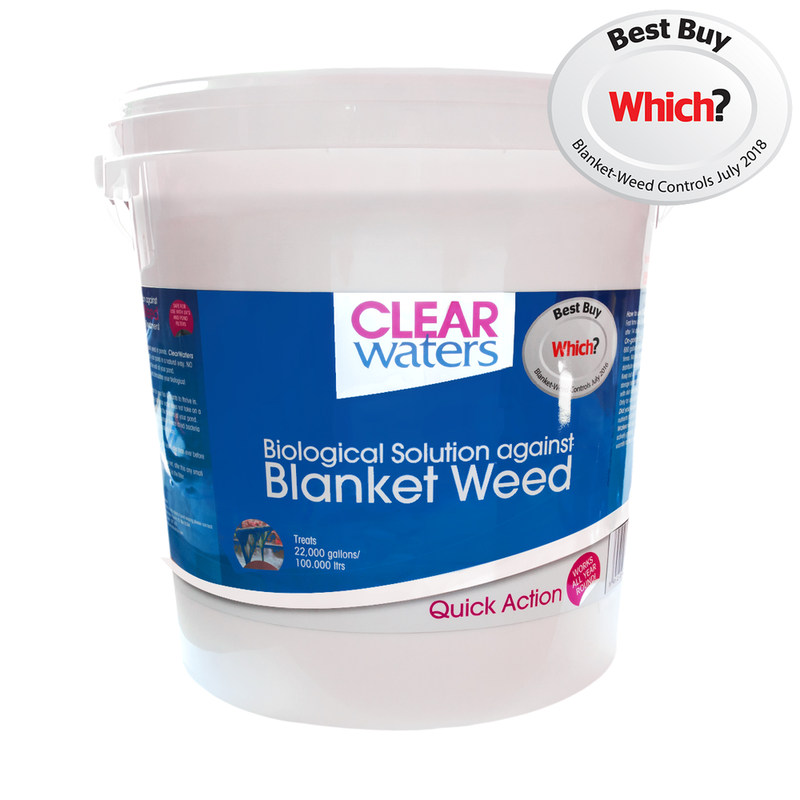 Clear Waters is safe for all pond fish, plants and stimulates your biological filtration system. Use Clear Waters for clear and healthy water for your fish and plants to thrive in. Clear Waters is all natural, dissolves quickly and your water does not take on a white milky appearance and it does not precipitate on the bottom of your pond. NO NEED to use a sludge remover. 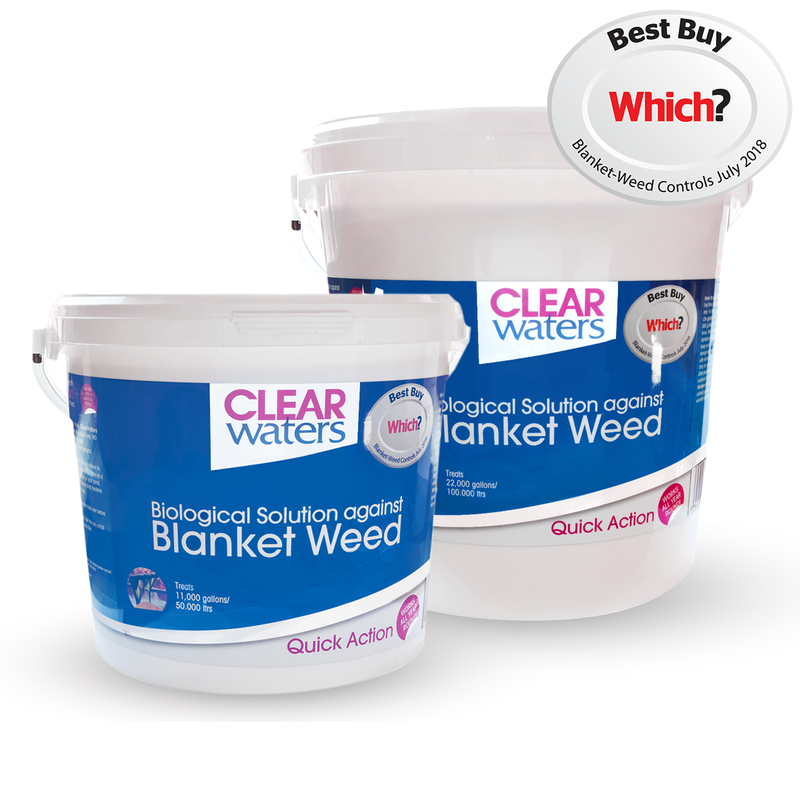 Clear Waters contains freeze dried bacteria that will decompose sludge and organic waste in a natural way. Algae and Blanket Weed need sunlight, carbon dioxide and nutrients to grow. Nishikoi Clear Waters contains Microbes. This ensures that during warmer water periods they will flourish and feed on nitrates, stopping the return of the algae. 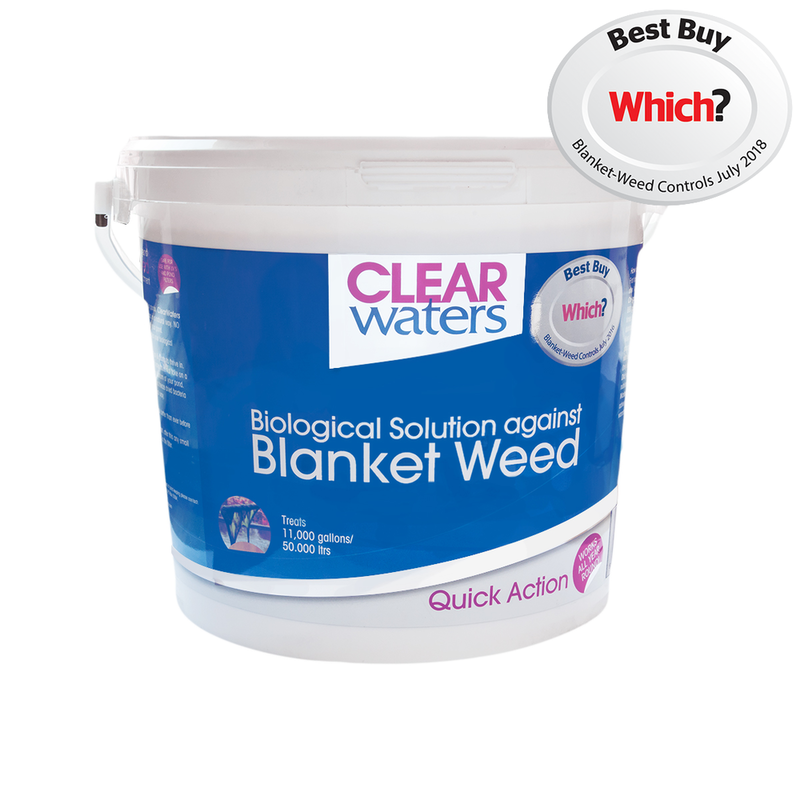 Clear Waters also contains algaecide which is the quickest and most effective way of killing algae straight away. Other treatments rely solely on microbes to work, so need continuous warmth for the microbes to flourish and take effect. 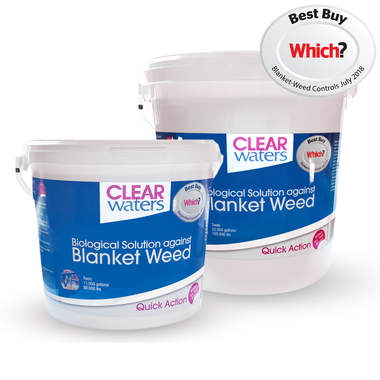 Unlike other algae and Blanket Weed treatments, Clear Waters will also work in the winter months if the Algae and Blanket Weed are actively growing. You can use Nishikoi Clear Waters anytime! As long as there is algae, Nishikoi Clear Waters will attack it. 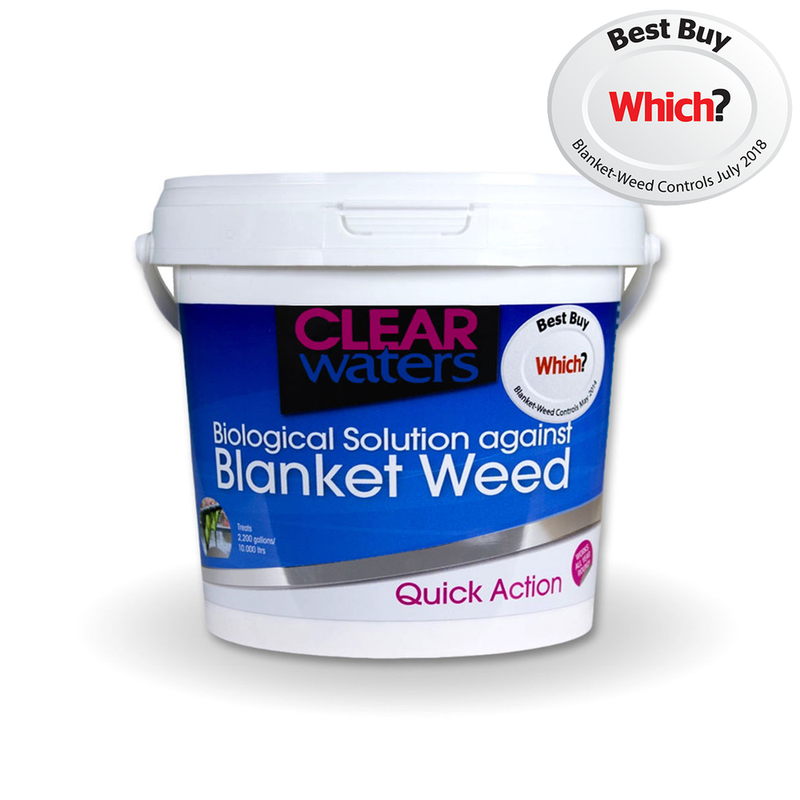 This powder solution is safe for use with UVC's, pond filters and really is a powerful treatment to blanketweed. You can expect to see results within just 2 weeks of its first initial use. 1 x 25ml spoon treats 500 litres (110 gal). Two treatments are required to get the desired results. Safe for use with filters and UV lights. Mix the required amount with pond water in a bucket or watering can and distribute evenly over the pond surface. Avoid contact with pond plants. Powerful active ingredients - follow dosage and instructions carefully.